The United States Council for International Business (USCIB) was established in 1945 to promote free trade and to represent American businesses in the then newly formed United Nations. Headquartered in Midtown Manhattan, USCIB also has an office in Washington, D.C. and consists of a network of sister business organizations across the world. The USCIB works for the advancement of American businesses both at the domestic and international level. It is affiliated with the International Chamber of Commerce, the International Organization of Employers (IOE), and the Business and Industry Advisory Committee (BIAC) to the Organization for Economic Co-operation and Development (OECD). The USCIB represents US business position both in intergovernmental bodies as well as in foreign business communities and their respective governments, such as the WTO, the ILO, and other U.N. bodies. The USCIB deals with a comprehensive range of issues related to policy making, with the sole motive of enhancing an open system for the free flow of trade, investment, and finance, in a way that will benefit business and lead toward overall human welfare, contribute to the economic growth, and preserve the environment. One of the ways it attempts to strengthen international business relations is to support the harmonization of commercial processes worldwide. It also issues ATA Carnets, a document which temporarily allows the duty-free import of goods into the U.S and other countries, specifically for the use of trade shows, commercial samples and professional equipment. It also promots the use of the ICC International Court of Arbitration within the U.S. for the settlement of commercial disputes. 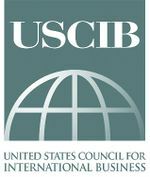 The USCIB is divided into over 50 committees and working groups, which are made up of business experts from over 300 member corporations, professional firms and industry associations. The USCIB was one of the founding members for the Business Constituency within ICANN's GNSO. It was also one of the active members in the formation process of ICANN. due to the importance of the Internet to businesses. The USCIB also contributes to leadership selection within ICANN by participating in the Nominating Committee (NomCom). This page was last edited on 25 May 2012, at 00:49.